ftheres-a-japanese-town-that-looks-just-like - did you know? 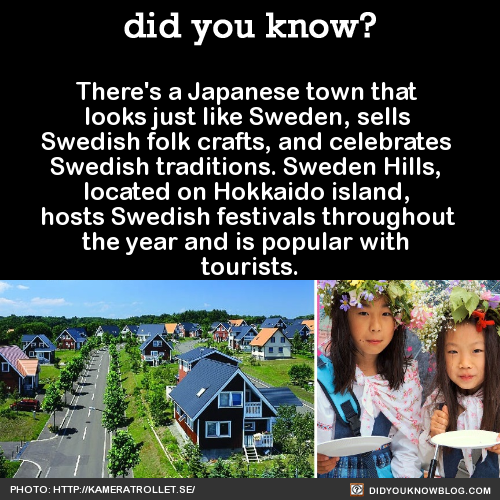 fThere’s a Japanese town that looks just like Sweden, sells Swedish folk crafts, and celebrates Swedish traditions. Sweden Hills, located on Hokkaido island, hosts Swedish festivals throughout the year and is popular with tourists.